Battle of the Books at Silver Oak is a reading incentive program for students in 3rd through 6th grades. There are two competitions... Grades 3/4 teams and Grades 5/6 teams. The Battle of the Books contests, consisting of quiz show format questions about books, are moderated by Principal Greenfield. The winner of the Grade 5/6 competition was "You Are What You Read". The Grade 3/4 winner was "The Underdogs". All of the winners did an amazing job of reading and absorbing information from the selected books. Members of the winning teams each received an award certificate as well as an Amazon gift card. Even more important, they had a chance to immerse themselves in some wonderful books. 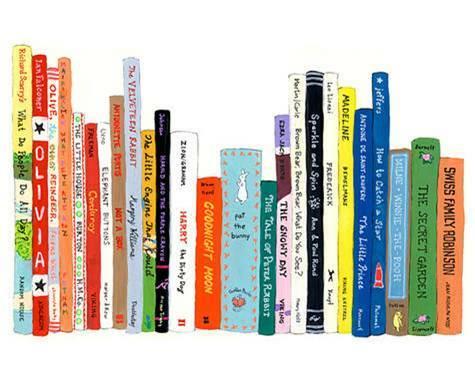 We wish all of the Battle of the Books participants happy reading in the future, and thank them for their enthusiasm for books. We’d like to recognize and thank all the students who participated in this year’s Battle of the Books, and showed us how fun reading can be! Special thanks also go to America's Battle of the Books for providing the book lists and quiz questions, to school librarian, Mrs. Hokanson, for ensuring that contest books were available at Silver Oak, to the PTO for funding the program, and to Principal Greenfield for moderating the contest. 5/6 Grade 2018 Winners - "You Are What You Read"
3/4 Grade 2018 Winners - "The Underdogs"
On March 15, 2018, 71 students from Silver Oak took the Math Kangaroo test. Over the course of 75 minutes, the students in grades 1 through 4 solved 24 questions, while those in grades 5 and 6 solved 30 questions. The questions were increasing in difficulty and the last few were very challenging for the grade levels. Questions are in a puzzle-like format and challenge students’ logical and analytical skills. Congratulations to all the Math Kangaroo students for taking on the test challenge, for working hard and for earning good scores. You make us proud! Ten students from Silver Oak have made it to the National merit list. 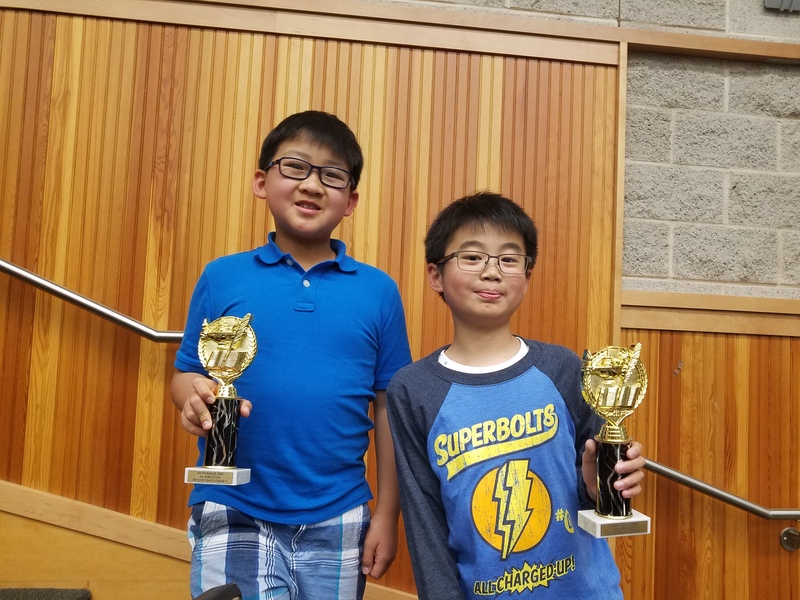 Gareth L. (Grade 2) and Ethan L. (Grade 6) scored full marks with all answers correct and have ranked first place in the nation! These fabulous students will display their science projects at the District Science Fair, oThursday, March 21. Congratulations! 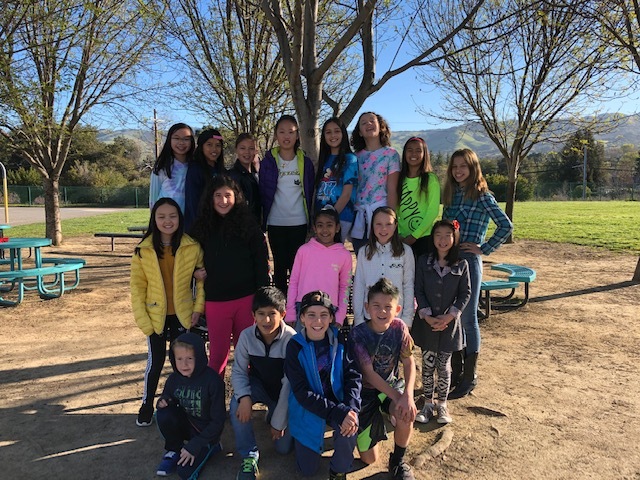 Team: Nicholas V. and Gavin C.
Team: Sarah S., and Katelyn N.
Team: Mihika P., Gia P., Nadezda L., and Isabel C.
5th Team: Melissa M., Alia O., Natalie S., and Kayli A. Team: Eesha B., Hoai Trang H., Gabby H., and Allison C.
Team: Sophie C. and Sophia D.
Ms. Taline Yerganian and Ms. Jennifer Hagerman for moderating and judging the event. 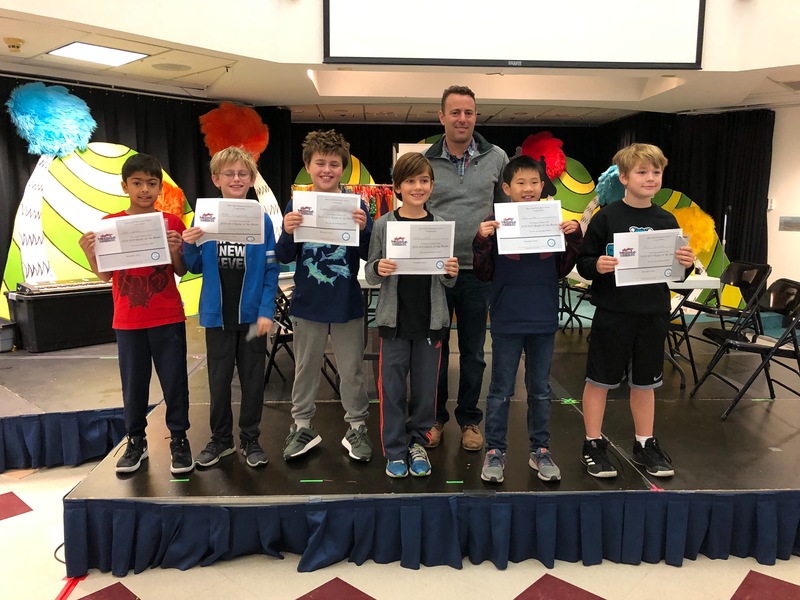 Silver Oak held its 13th annual Spelling Bee competition on January 17, 2019. The multipurpose room was buzzing with anticipation with 20 fantastic spellers and their proud families and friends. It was an evening filled with excitement and suspense as our Silver Oak spellers battled it out in a war of consonants and vowels placed in just the right order. 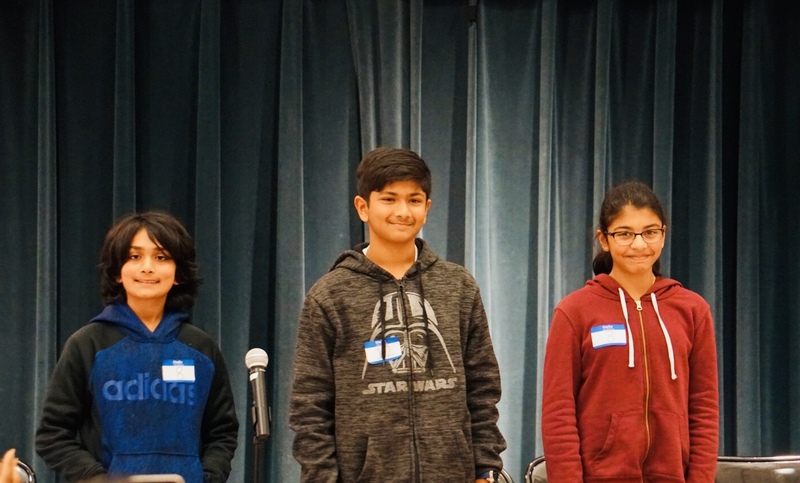 When the spelling was done, Deshna S. won third place honors, Soham M. took second place, and Silver Oak crowned a new Silver Oak Spelling Bee Champion... Mahin N.! 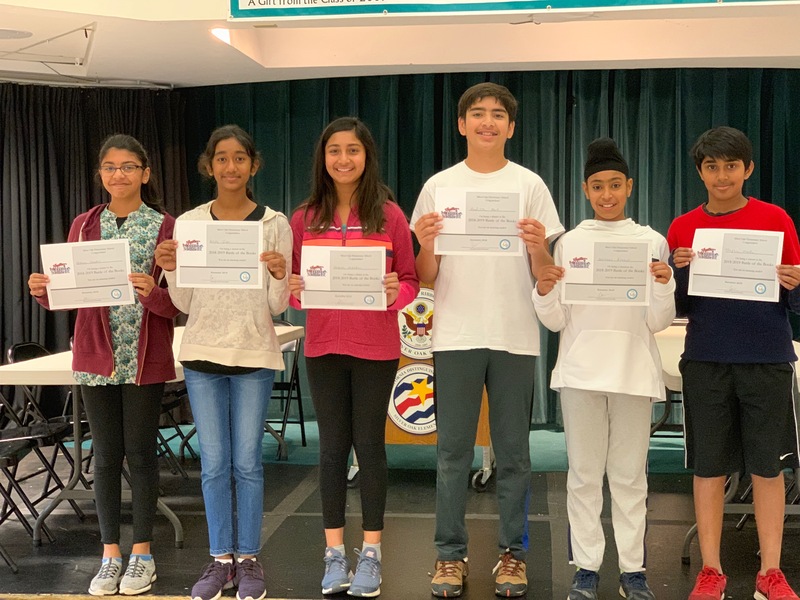 As 2019 Silver Oak Spelling Bee Champion, Mahin N. has qualified to compete with other regional school champions via an online local test administered at Silver Oak on last January. The top School Champion finishers of the online lest (up to 50) will move on to the 2019 Bay Area Regional Spelling Bee on Sunday, February 17th at the Amador Theater in Pleasanton, CA. The champion of the Bay Area Regional Bee will win an expenses-paid trip to the 2019 Scripps National Spelling Bee in National Harbor, Maryland. Good luck, Mahin!! The annual Math Olympiad competition consists of five tests administered at schools around the world once per month from November through March. The Math Olympiad competition is geared toward stimulating enthusiasm and a love for mathematics and is open to students in grades 4 through 6. Practice sessions focus on mathematical concepts, problem solving skills, and fostering mathematical creativity and ingenuity. This year, two students tied for the highest Individual score. Ethan L. and Linus T., both scored 24 out of a possible 25 points over the entire competition. They both will receive a "Highest Individual Scorer" trophy. Congratulations to both Ethan and Linus for a job well done. The team score is calculated by summing the top 10 highest scores from all team members. Our Silver Oak team scored 196 points. Congratulation to all the kids who participated in Math Olympiad this year. Everyone worked hard attending early morning coaching sessions, put in extra hours of studying at home, and strived for accuracy during the contests. Roll is a special accommodation awarded to students who reach certain academic goals throughout the year. You must be in grades 4-6 to be eligible for the program. Gold Honor Roll is awarded to students who receive all A's on their report card and demonstrate satisfactory citizenship (no N's or U's). Silver Honor Roll is awarded to students who receive all A's & B's on their report card and no N's or U's. Report cards are given out each trimester, so students have three opportunities over the course of the school year to reach Honor Roll. 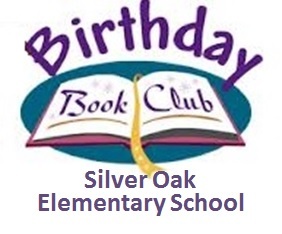 Each month 1st - 6th grade students choose books to be donated to their classroom or school library in honor of their birthdays. Each month, we recognize their donations by posting their names (and birthday months) here. Silver Oak Students Take Part in mathleague.org Contests and Earn Top Scores! 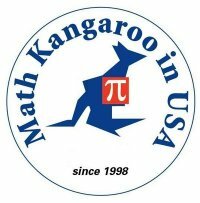 Every year, mathleague.org organizes math contests all over the nation for elementary, middle, and high school students. In each contest, students have to solve math problems in several contest formats that challenge them not only on their math concepts but also on their speed and ability to work in a team. In January 2017, 22 Silver Oak upper grade students took the mathleague.org in-school round of tests. All 22 students qualified for the State Championship – what a fantastic accomplishment! Congratulations to all the students who participated in mathleague.org this year. We wish Linus T. and Ethan L. well at the National Championships which will be held at Texas A&M University during the summer break. Walk-and-Bike-to-School Week came to a close Friday, October 6. We had a special visitor Friday morning to welcome students, parents and teachers. 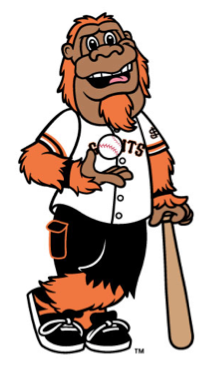 "Gigante," the San Jose Giants mascot, was out on the black top high-fiving kids, sliding down the big yellow slide, tossing out autographed baseballs, and having fun. Smiles all around! He even made a special visit to the kindergarten playground. 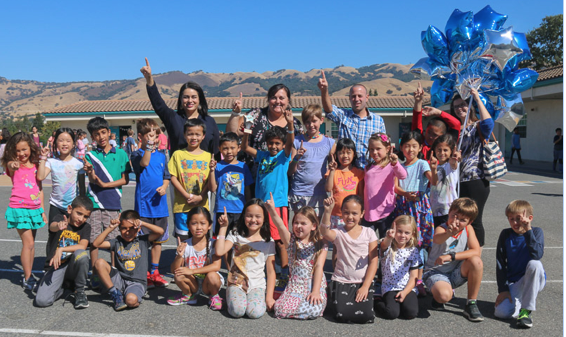 And Friday afternoon, San Jose City Councilwoman for District 8, Sylvia Arenas, joined the #1 top finishing class and presented the Golden Shoe award. Kazandra Manivanh, from New Seasons Market, delivered the goodie bags for each student in the #1 class. Participation school-wide for the week was 75.26%. That means 3 out of 4 students walked or biked to school. Great job Silver Oak. Principal Greenfield announced the final results at the end of the day Friday. Mrs. Neil's 6th grade class. Great job! Mrs. Barde's 3rd grade class. Super job. 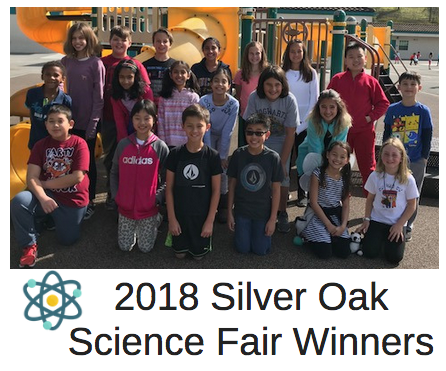 And, in first place, with a 94% participation level, and the winner of the Golden Shoe award, special snacks from the New Seasons Market, and a visit from District 8 City Councilmember Sylvia Arenas. Mrs. Richard's 3rd grade class! That is three #1 finishes in the past four years! Way to go Mrs. Richard!! When Principal Greenfield and Councilwoman Arenas awarded the Golden Shoe award the class was bursting with pride. Mrs. Richard's 3rd grade class awarded the Golden Shoe Award! Councilwoman Arenas shared, "I am so proud to provide support and be a part of Silver Oak Elementary's Walk-and-Bike-to-School Week! Thank you students and parents for making the effort to get up a little earlier to create healthier habits and safer streets. Let's keep it up!" Thank you for walking and biking to school and making the week truly joyful. And a special thanks to the more than 60 volunteers who offered their time to stamp hands each morning and distribute the colorful wristbands each day. Thank you to Councilwoman Sylvia Arenas for funding the playful wristbands. Thanks to the New Seasons Market for providing the snack bags to each student in Mrs. Richard's class. Thanks to the San Jose Giants for bringing "Gigante" out to play with us. And lastly, thanks to the PTO for sponsoring this event again this year. Principal Greenfield reflected, "Walk-and-bike-to-school week was a wonderful success. It was great to see so many parents and student participating. We want to thank everybody for their support." Congratulations to every student, family, and staff member who participated. Silver Oak, let's keep walking and rolling!